CAN WE TAKE UP THE CHALLENGE THAT THE MONSOON THROWS UP? Every monsoon, the city is just a step away from any disaster. A Development Plan that takes this into consideration is very crucial. Mumbai’s monsoon problems — potholes, overflowing drains, flooding — are demonstrations of a larger fundamental planning issue. For nearly five decades, Mumbai has practiced planning for regulating development. Its key function is to adapt to the city’s present condition with enough vigilance to guide development, safety and improvement for the next 20-year period. Let us look at the annual challenges the monsoon throws up. Drainage: Mumbai’s drainage system capacity can take about 25 mm of rain per hour. In the suburbs of Greater Mumbai (including its existing No-Development Zones and natural areas), drainage capacity is expected to double up to 50 mm in the coming decade through implementation of Brimstowad (Brihanmumbai Storm Water Disposal system) projects. 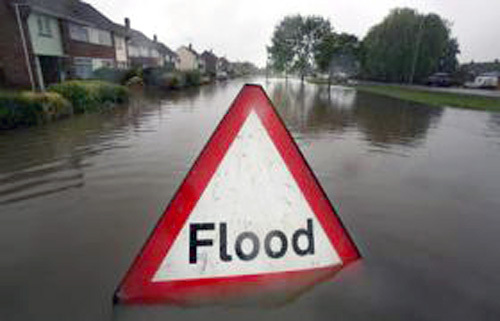 However, every year we record heavy rainfall exceeding 65 mm per hour, which means several days of floods. Even the enhanced drainage capacity in the suburbs cannot deal with this. The BMC and its contractors do not conduct desilting operations. What we need is better inter-agency coordination to see to it that the silt is not just removed but disposed off too. Mumbai also needs more pumping stations, to push the water out to the sea. The Storm Water Drain department’s topographic contours map, created using aerial photography and photogrammetric mapping, must be studied while planning. Development without considering natural water flows and drains can collapse the city’s defences against the monsoon’s incursion. Transport: Over 90% of Mumbai is made up of pedestrians. During peak hours, the suburban local trains transport over 22 lakh passengers. And every year due to rains, locomotives succumb to waterlogging and electrical failures, pushing commuters onto the roads. What the Development Plan needs to do is pay more attention to upgrading existing pedestrian networks and public transport. Also strengthen the norms and pricing policies for parking as vehicles are also seen parked on both sides of the roads. Open spaces: Natural green spaces are not just good for the soul but they also play a very important role in the absorption of rain water. They raise groundwater percolation, and also act like holding ponds, increasing the rainfall’s ‘time of retention’ on city surfaces. The BMC must pay heed to the Bombay HC’s criticism of the zeal to destroy mangroves “under the garb of development”. The mangroves help to cushion the land against the waves and prevent soil erosion. What the DP needs to do is protect existing green spaces or the natural buffers and create more of them, ensuring that they are accessible and distributed. Disaster preparedness: Disaster management without a plan is a Digital Mumbai without internet connectivity. Recently, in Uttarakhand in 2013 and 2016, and in Chennai in 2015, unregulated construction on natural drains and riverbeds precipitated devastating floods. But the BMC seems to be unwilling learn from these mistakes. The DP must incorporate the Chitale Committee (committee of experts) recommendations on preparedness, mitigation, rescue and relief. But those recommendations barely find mention in the RDDP (revised draft development plan). In doing so, the RDDP should also adhere to the national standards for social and welfare amenities per citizen, for health, education and open spaces. SECOND HOME – A WORTHWHILE INVESTMENT? You belong to the average earning class of the city and are content with house you bought for yourself and your family. You believe that buying a second home in this market is something that only ultra rich people do. But what if we told you that reality is actually much easier than you think? It is well known by all that an investment in a residential property is an effective way to build wealth in the long term. The same logic holds true for a second house as well. A second property would not only offer capital appreciation in the long term but would also offer you regular rental returns. Looking at the development of suburbs in Navi Mumbai, SquareFoot suggests reconsidering your thoughts of buying another house here. Localities like Ulwe, Taloja and Wavanje are gaining magnificence lately. Navi Mumbai is quickly turning into a connecting channel between Mumbai, Pune and southern Maharashtra. 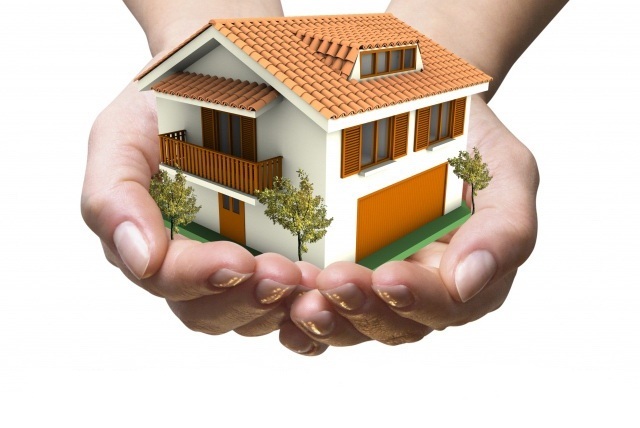 Also, Navi Mumbai has witnessed a considerable growth in the real estate prices annually. This growth is expected to continue as the demographic distribution and urbanization is rapidly increasing in these areas. These two factors are directly proportional to each other, thus making it a hot favourite destination amongst the masses. Did you know that you can be availed several tax advantaged by merely investing in a second home? You if buy a property against a home loan, the rent you receive for it can be set off. And if the situation arises wherein you receive rent less than EMI, then ‘loss from house property’ can be set off against your regular income. If you decide to invest in mutual funds, stocks or gold, you need to shell out money from your own pocket. However, second home is the only form of investment for which leverage is available and you can apply for 80% of its worth as loan. And which is a more stable asset than a house? Since it takes more time for its appreciation to increase, you don’t plan to sell it off so early. 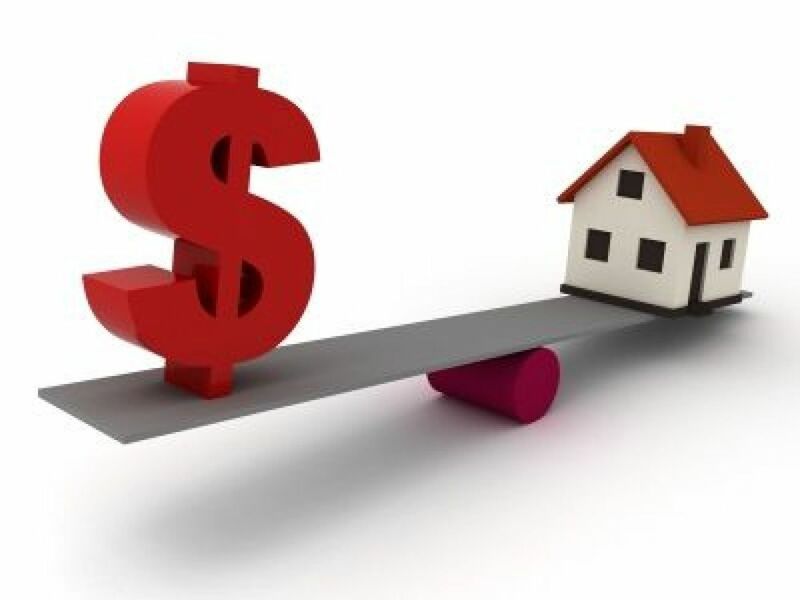 Another point to keep in mind is that fluctuating real estate prices is a rare event and there is no mark to market that is available on a daily basis. This makes house a comfortable asset to hold onto. So, if you are comfortable paying the monthly installment, and are prepared for some maintenance and monitoring, Squarefoot would suggest you to go ahead with this decision. And if you plan to invest in Navi Mumbai, it definitely is a better long term investment option. 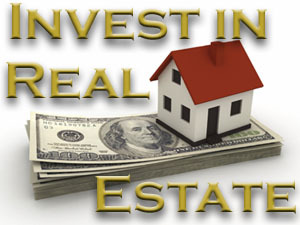 WHY SHOULD YOU INVEST IN TALOJA’S RESIDENTIAL PROPERTIES? Buying a house in Mumbai’s plush localities seems like a far-fetched dream for an average earning person. Even the central Mumbai properties are out of reach for many. That’s when the upcoming suburbs come into the picture to save the day. One such hub is Taloja in Navi Mumbai. The suburb offers affordable housing options with great infrastructure and smooth connectivity to the rest of Mumbai. With close proximity to Kharghar which is the Central Business District of Navi Mumbai, Taloja is emerging as one of the preferred locations for many property seekers. Also, the upcoming International Airport at Panvel is throwing a lot of attention on Taloja’s residential places, as the airport will be at a distance of about 15 kms from the locality. Though currently Railways offer an excellent connectivity, the construction of Phase I of Navi Mumbai Metro between Belapur to Pendhar which will further meet Taloja will also make lives easier for people. The phase II will connect the MIDC and Taloja to Khandeshwar. Also, located closer to NH 4 and Old Mumbai-Pune Highway, Taloja makes travelling to Mumbai, Pune and Thane more convenient. Though the property of Badlapur, Karjat and Taloja are almost in equal range, people are still opting for the latter. Experts believe the reason behind this is that in comparison to Talopja, other parts of Mumbai don’t have any economic drive to pull potential buyers. Currently, 1 and 2-BHK units are the most preferred in Taloja. Further, contingent on the size of the house, costs of 1-BHK units differ from Rs 14-30 lakh. However, a 2-BHK unit, with sizes changing from 900-1,200 sq ft, would be accessible in Rs 20-60 lakh, contingent on the brand of the developer and the location. Also, 1-RK units are additionally prevalent and cost Rs 15-20 lakh. With many malls, colleges, international schools, educational institutes, parks and hospitals dotted across the city, Taloja is emerging as the winner when it comes to providing perfect social infrastructure. At present, values in Taloja are Rs 3,500-4,500 for every sq ft, which are expected to elevate to Rs 7,000-8,000 for each sq ft, considering the upcoming developments, projects like Enkay Garden and the forthcoming infrastructure. Looking at the current scenario, end-users have outnumbered investors. Since many believe that instead of paying rent, he can buy his own house. Hence the number of potential investors is on the rise. Thus, we believe that investing in Taloja would be a smart decision. WHY SHOULD YOU INVEST IN ENKAY GARDEN? A famous person once said, ‘There is nothing more important than a good, safe, secure home’. And Enkay Garden has offered you just that. 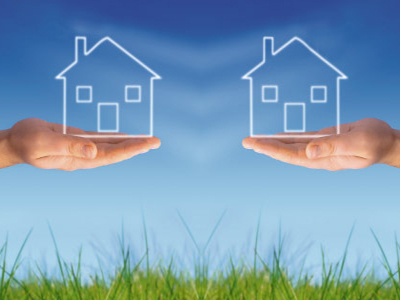 We understand that a home is not just any place where you live in. It is more than a materialistic thing. It is a feeling. Your struggle of finding that place where you get the perfect homely feeling has finally come to an end. Located amidst the lap of nature in Wavanje Village in Navi Mumbai, Enkay Garden is a complete township project, which provides you modern comfort and convenience at your doorstep. Very close to the Sahaydri Mountain range and Haji Malang Mountains, the views of the Enkay Garden are blessed with lush green landscapes and unfathomable beauty of the nature. 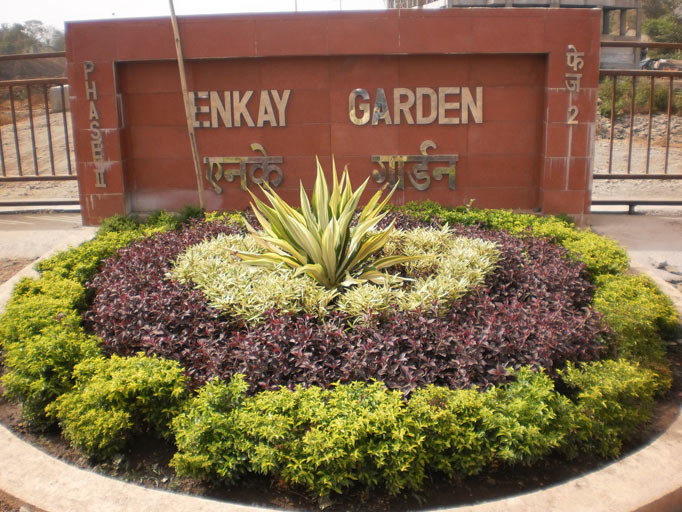 We bring you top reasons why you should call Enkay Garden your home. As we know, MIDC Taloja is one of the biggest industrial areas in Maharashtra. There are more than 2000 companies and over 2 Lac workers earn their daily income here. However, since there are no residential facilities available, they are obligated to travel daily from far away places like Vashi, Panvel, Mumbra, Thane, Kalyan and Dombivili. Hence Enkay Garden is located perfectly in a booming area and soon the real estate scene will be expanding in Taloja as well. Patrons can enjoy and celebrate their festivities at the sprawling clubhouse of Enkay Garden. It is also available for family functions or parties. It offers a great way to get to know the other residents of the building. Along with that, there is a modern, fully-equipped gym for exercises and indoor sport activities. Kids face the most difficulty while shifting to a new place. It could be an overwhelming experience for them. However, to ease the process, there is a public school right opposite to Enkay Garden where you can enroll your kids or if you are working parents, you can admit your infants and toddlers at a nearby daycare centre for kids. There is a plethora of options at Enkay Garden when one needs to relax after a long tiring day or during holidays. There are gardens where you can meet your friends or spend some quality time with your family. Kids can be kept busy at the playgrounds or if you are a fitness freak, you can take a run across the jogging tracks. There is a shopping arcade close to the project as well. The residential spaces spell nothing but opulence. With ultra modern flooring, high end wooden doors and stylish granite kitchens, Enkay Garden gives you a chance to explore the nature along with urban facilities. All the amenities have been selected and designed keeping customers’ comfort in mind. Feng Shui – A path guiding towards harmony! Originated from Asian countries thousands of years back, Feng Shui is an ancient belief that energy is scattered everywhere and also all the energies are connected. Picking up on this belief, the practice of feng shui was implemented while building homes. Reason – to create a calm and balanced environment in the house. 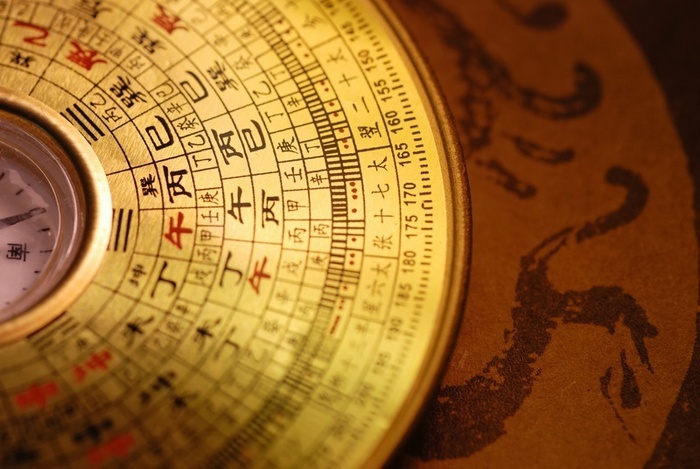 Initially, feng shui doesn’t seem like to be effective for anybody. But once you understand how it creates a path towards guiding the energies to build a harmonious life, you will not be able to help yourself in imparting feng shui in every aspect of your dwelling. Here a few feng shui tips to help you start with. If you haven’t been feeling at ease in your bedroom, maybe it is the bed that causes the discomfort. You should able to view the door from your bed, but never place it directly opposite to the door. Maybe you can try keeping it perpendicular to the wall of the door. Also, decorate the room with equal sized night stands or lamps. Never place your desk against the wall with a window. You may think that it will give a good view of the surroundings, but for better focus on your work set your desk from where you can view the whole room. Include all 5 elements in your interior theme. Decorate in a way that each room will remind you of water, fire, wood, earth, and metal. You can substitute things that evoke the same feelings instead of using actual elements. Now that you have included the 5 elements in the house, the next thing to consider is their location. Place them in a strategic manner to improve your luck. For example, a water feature near your home’s entrance signifies good financial health. Avoid having darkness in the corners of the house as they bring danger. So place items like plants, accent chairs, bookshelves, or other furniture to soften them up. Recently the daily tabloids were flooded with news that property rates may witness a significant fall. But reality is quite different. Mumbai’s property rates are still constant and won’t be seeing a decline anytime soon. Even the RBI Governor commented that if real estate developers lower the prices and clear the unsold stock, it will help the demand pick up in the market. Unfortunately, it is not that simple. Though RBI Governor made a suggestion, the developers from around the country had already slashed their prices. However, it is sad that no one acknowledges the fact that any more cut down in rates would just hamper the economy and employment at large. Instead, there should be a rate cut in the home loans if we are looking to make it easier for the buyers. It can be said that the responsibility doesn’t lie only on the developers. The government too needs to share the responsibility. They should rationalise taxes, ready reckoner rates and streamline the approval process to bring down property prices and provide relief to home buyers. This will be a huge help to ease the burden of EMIs. Developers need support from the government to successfully execute and complete its ambition of housing for all in 2022. The government urgently needs to provide single window clearance and allow reputed developers to ramp up volumes. Once that happens, sufficient quantity of quality homes will translate into reasonable prices and ‘housing for all’ can become a reality. Though the developers are being said to reduce the apartment sizes and still demand the same prices, on the other hand, they are not comprising on the kind of lifestyle their projects offer. According to a report released by real-estate consultancy JLL India on August 17, the Mumbai Metropolitan Region (MMR), which includes Mumbai, Thane and Navi Mumbai, witnessed a 26.4% fall in apartment sizes — the maximum in the country, before that of Bengaluru, Chennai and Kolkata. Buyers today are opting for amenities in their residential complexes that can integrate their fast paced lives. Also, location is their first preference before buying a house. Hence, developers are coming up with projects that are situated in the prime locations, cutting down their travel time to work and amenities like clubhouse, gym, or crèche for kids so it would decrease their hassles. Looking at all the factors, it doesn’t seem that property rates are going to witness a nosedive anytime soon.